« Time, Purpose, Changes, and Groups Galore! Moth to Butterfly! "Lookie, in just an hour...after several days!" Last week while at the LYS, the owner suggested the I save the KP AC in “Dill” the I was using for VOI since it was my favorite and had been discontinued. After much thoaght, I realized she was right that I should save my favorite yarn for something for me. I stocked up on this yarn and can not get any more, so I decided to save it for myself. I am, instead using two other colors of KP’s AC, the two purple ones. If I am not mistaken one of them is also discontinued, but that’s ok with me. About the “Veil of Isis” shawl. It took me a bit of work to get my head wrapped around the concept and get going on it. Once I did I was able to get going pretty good. 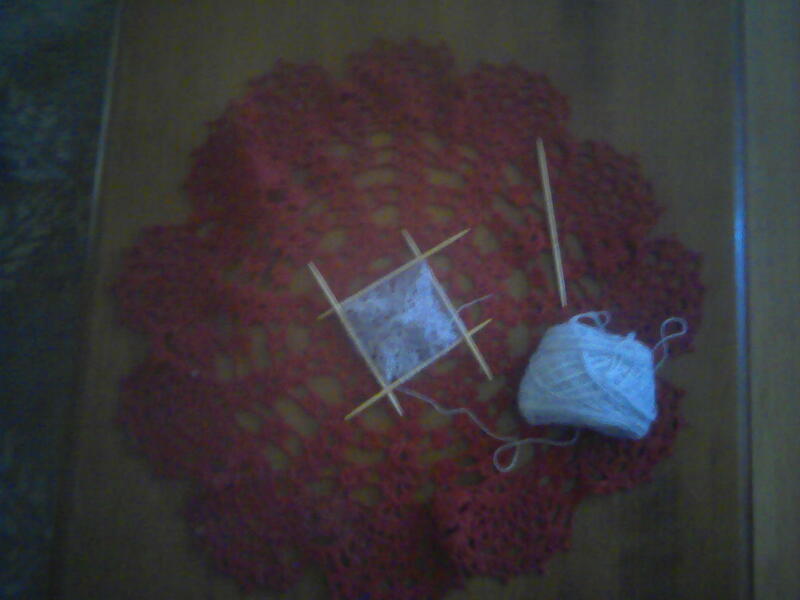 This may not be a beginner’s pattern, maybe advanced beginner but definately not beginner. Next Wednesday is my 48 birthday! 40 was a breeze. 30 wasn’t any problem. Turning 25 was hell! I went around thinking “OMG I am a quarter of acentury old and have done nothing with my life!” The fact that I am nearly 50 doesn’t bother me as much as it does my mother….lol…..she says she’s not old enough to have a daughter as old as I am! Anyway, I work on “New Leaf” when I need break from “Veil”. I have found a shawl pattern of a butterfly, and am seriously thinking of getting it and making it for mom instead of “Limberlost Luna” and calling it a butterfly. We shall see as I have the truck’s insurance to pay this month as well.